I just attended a meeting with several Forest Service rangers, one a hydrologist, and some key people with Southern California Edison. SCE is going to build a new, shallower section of the bypass road up to the powerlines. They are talking major construction with dozers, water trucks to pack down the road and possible helicopters to deliver water to the trucks. Although Southern California Edison already has their own access through Tiny’s land and the gate, they are willing to build this new section to show good will as a public service to the community (that’s mostly us) and because the Forest Service asked them. 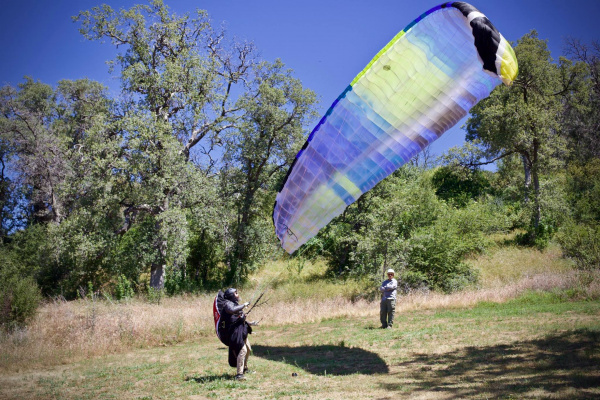 Our good relationship with the Forest Service, our interest in the site, and our willingness to maintain the site, has convinced the Forest Service and SCE that this is a worthwhile project, benefiting the local community and the rock climbers, as well as our sport of hang-gliding/paragliding. SCE will also rebuild the rest of the by-pass road under the direction of the Forest Service hydrologist, with much better water control; rolling dips and water-bars. After building the new road, SCE will destroy the existing, steep first part of the by-pass, because it is too close to the power-lines. This project needs to go through a process; environmental study, public comment, etc, but the Forest Service is confident that these steps will be easily achieved. During the public input portion, I am sending a letter showing our support for the project. This letter shows for the record that there is a need, along with public support, for the project. I am asking as many people as possible (that’s you) to read and leave their name, city and state to be included on the letter, so that we show lots of public support for the new road. The Forest Service would rather have one letter from our community, representing many, instead of hundreds of individual letters. Although we currently are able to go through Tiny’s gate, the by-pass road allows us future access when we need it. Many thanks to all of you, who have helped make this possible and to our partners, the High Sierra Ranger District and Southern California Edison. Work should begin this Fall. Stay tuned. PLEASE SHOW YOUR SUPPORT BY SIGNING THE PETITION AND LEAVING YOUR CITY and STATE IN THE COMMENT BOX, WHICH WILL APPEAR ON THE LETTER SUPPORTING THE PROPOSED NEW ROAD.